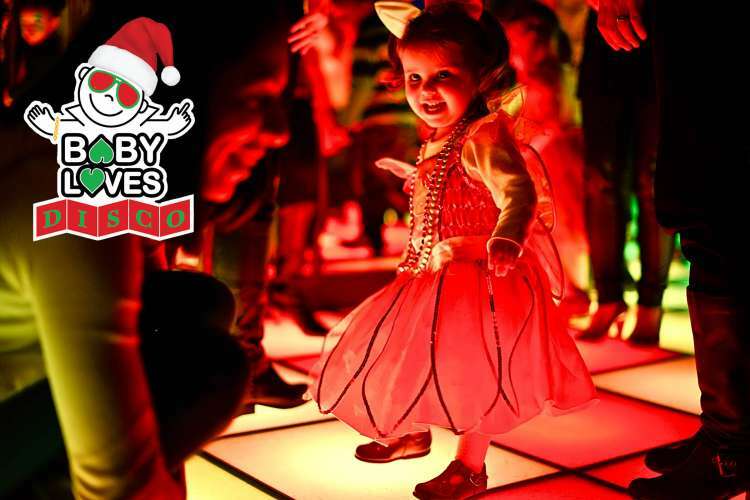 After ten sell-out years at Edinburgh Fringe and four previous sell-out runs as part of the Edinburgh’s Christmas programme, Baby Loves Disco returns for Christmas 2018 with its unique dayclubbing experience for parents with babies, toddlers and young children. Take a break from the Christmas shopping and join us as we take over the magnificent Festival Square Spiegeltent for two hours of festive family fun! With a licensed bar for parents and our resident club DJ spinning nostalgic party floorfillers from the days before parenthood struck, it won’t just be the little ones going gaga! Plus facepainting, crafts zone, toddler play equipment, dress-up and a selfie booth with props – all included in the price, and a short interlude with Christmas tunes and pressies from Santa as he struts his stuff on our dancefloor… It’s the most fun you’ll ever have at a kids’ event! Why should families with babies, toddlers and young children miss out on the Hogmanay celebrations? At Baby Loves Disco, midday is the new midnight! 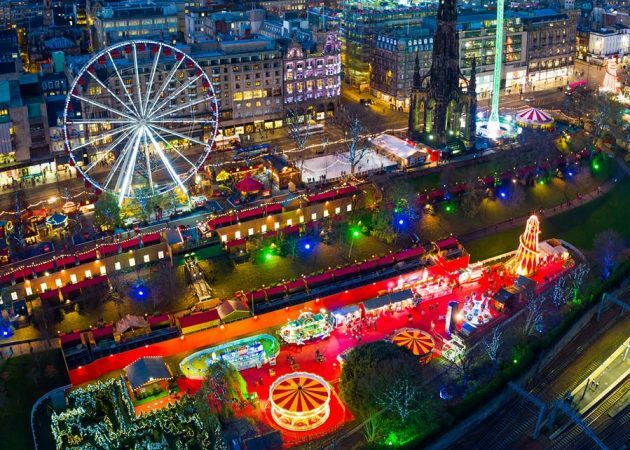 So grab your tiny dancers, get kilted and booted or don your favourite Christmas jumper and join us for 2 hours of Hogmanay dayclubbing! Our resident club DJ takes a celebratory look back over the music of 2017 and spins nostalgic pop floor-fillers from the days before parenthood struck, for all the generations to enjoy together. Expect a Hogmanay twist with a short family ceilidh dance, and an Auld Lang Syne practise run with supplied ‘toddler torches’ (30th Dec, before the Torchlight Procession), or celebrate ‘the bells’ with the Australians as we countdown to actual midnight in Queensland! (30th Dec). 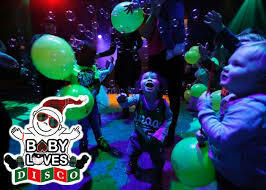 Includes facepainting, dress-up, bubbles, balloons, dancefloor games and giveaways, chill-out play area and festive crafts zone. With a licenced bar for parents, it won’t just be the little ones going gaga! For tickets and information click the event links below.